I once sold a small folded sheet of printed paper with a hole through the middle of it for over £300. Mind you, it was an exceedingly rare printed example in Latin of Lord Northumberland’s address from the scaffold in 1552, possibly published on the Continent for propaganda purposes. Weirdly, one previous owner who evidently ‘didn’t have the Latin’ thought it was something to do with boar-hunting ! According to the auction house, without the tiny hole (which affected text) it may have fetched twice or even three times as much. Sigh. So, let’s look at one or two of the shortest works ever published and the extraordinary prices they command. The great Spanish-born philosopher George Santayana is perhaps more appreciated in his adopted USA than in the UK, which may explain why his four page Lines on leaving Bedford Street Schoolhouse bears such a large price tag. The short poem, his first publication, appeared when he was just 17 and on his way to a brilliant career at Harvard. Most of his subsequent published works, which in addition to philosophical treatises promoting his particular brand of scepticism and pragmatism, include a novel, volumes of memoirs and poetry, fetch nothing like this high figure, though naturally, like any other original thinker, he has his collectors. 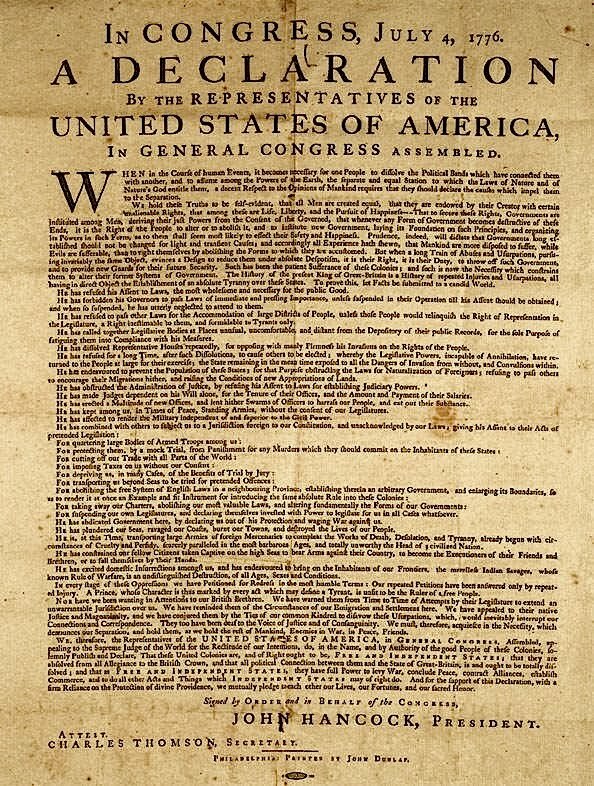 In 1776 five hundred ‘official ‘broadsheets declaring the independence of the United States were rushed off the press and distributed, presumably to lawmakers and politicians, across the new nation. Over the years various copies, in various states of repair, have been found, in public collections, framed behind glass or among the papers of deceased individuals in the US. Up to 1987 only three copies were known to be in private hands, but in this year a browser found a picture in a garage sale in Pennsylvania and bought it because he liked the frame. We’ve all done it. 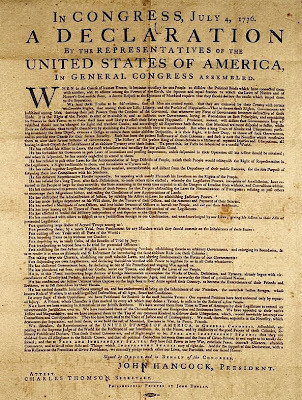 However, on removing the art work he discovered an almost mint copy of the Declaration being used as a lining. Possibly it had once been proudly displayed in the frame, only to be supplanted by the artwork at some point. The lucky owner hung onto it for four years, until he consigned to the Sotheby’s where it sold for $2.42 m in 1991. Nine years later it was bought at auction by Norman Lear, the TV producer, for a whopping $8.14m. In 2006 a varnished copy of the 1820 edition, which the wife of a pipe fitter had donated to a charity shop, was bought for $2.48 by another jammy browser, who sold it on for a cool $477,650. Other copies must still be out there. "was bought for $2.48 by another jammy browser, who sold it on for a cool $477,650."